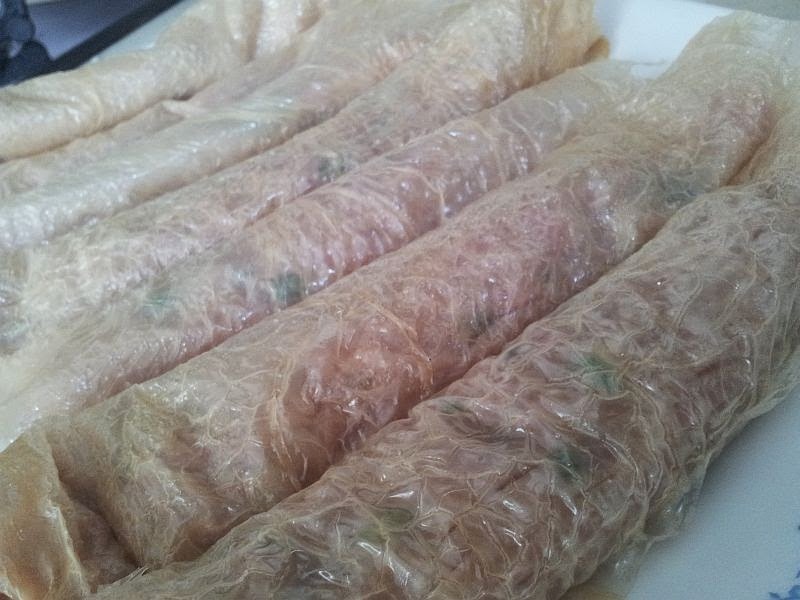 This was my virgin try on preparing ngor hiang and it was a success, except maybe for the art in wrapping it which I have yet to master. 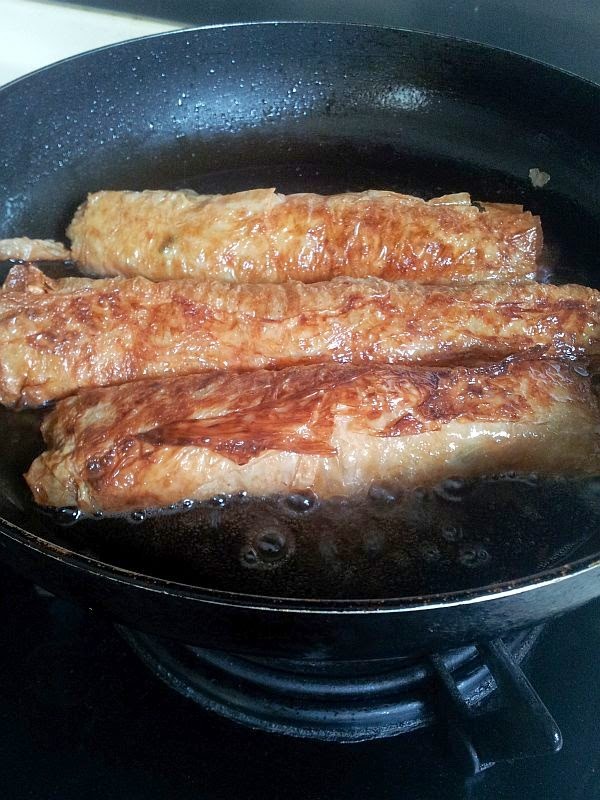 Decided to cook this as my hubby loves eating ngor hiang. I guess it is probably his comfort food since growing up with it as he is a hokkien and his mum cooks that a lot! 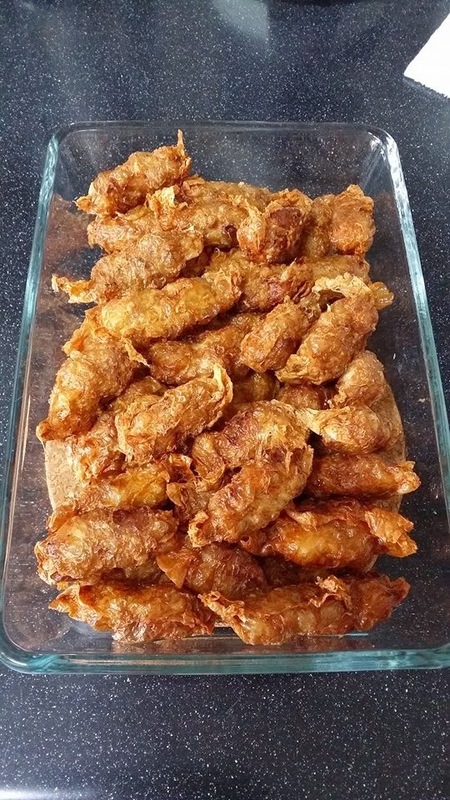 This recipe was shared by my facebook home cooking group which I joined. Enjoy! 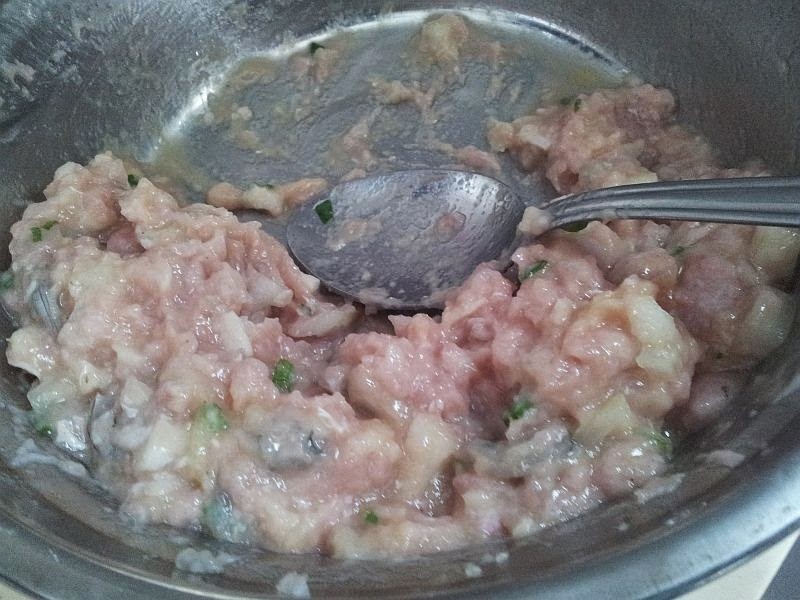 3) Prepare the paste - minced the prawns, onions, and water chestnut. 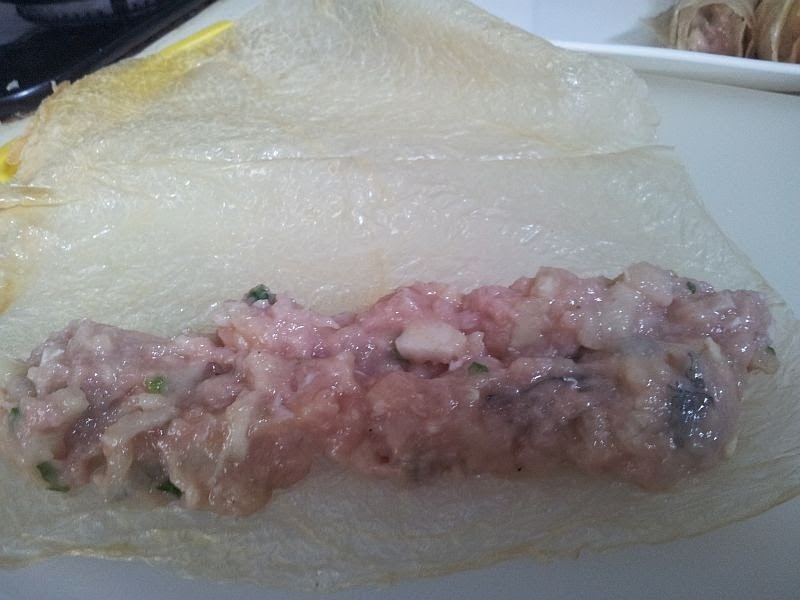 Add the minced meat and fish paste. Crack and egg and mix it altogether. 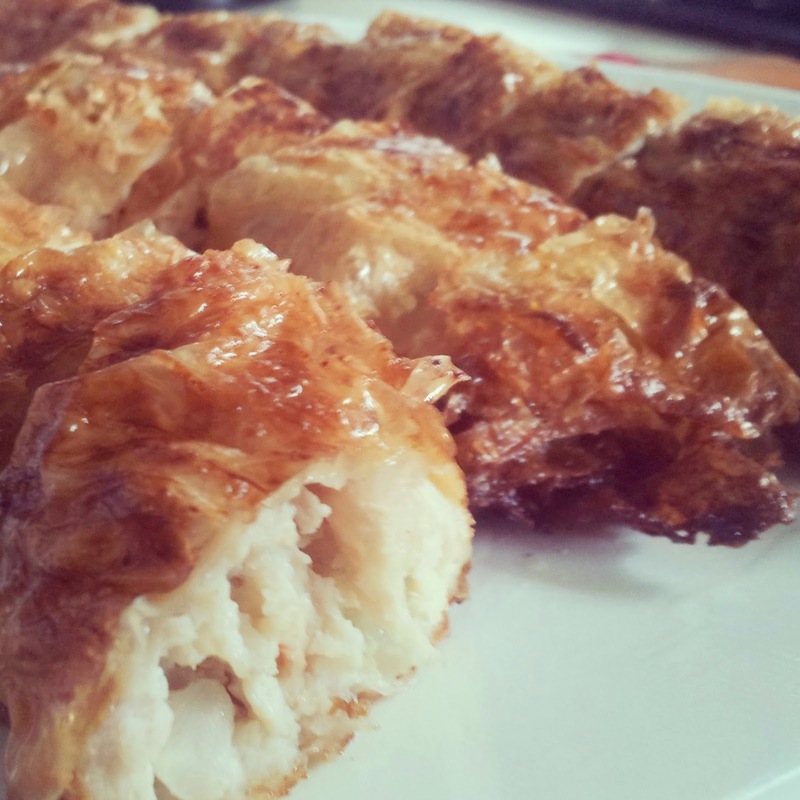 Season with pepper and corn flour. (no need salt as the skin is salty already!) I added spring onions to give the colour and because I had it in my fridge and didn't know how else to use it before it withers beyond its of use. 5) After wrapping all up, deep fry them and voila, nice and crispy sides to go with for your lunch or dinner!